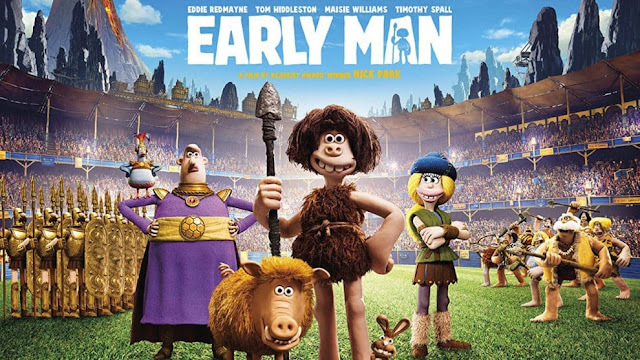 Read Mind on Movies review of Early Man. 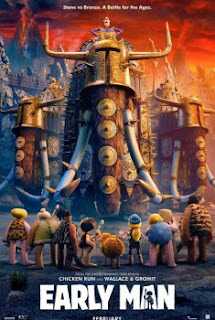 Set at the dawn of time, when prehistoric creatures and woolly mammoths roamed the earth, Early Man tells the story of Dug, along with sidekick Hognob as they unite his tribe against a mighty enemy Lord Nooth and his Bronze Age City to save their home. Early Man is a claymation film in which a village of cave people gets invaded by Lord Nooth (voiced by Tom Hiddleston). The movie stars Eddie Redmayne as Dug, a simple cave man who’s village gets invaded and he finds himself thrown into civilization where he meets Gooda, voiced by Maisie Williams. It turns out the “civilized” people from the Bronze City stole the sport of soccer, which was created by the cave people. In order for the invaders to leave the village, Dug, with coaching by Gooda, must train the cave people how to play soccer and win their village back from Lord Nooth. I had no idea this movie was about sports, I think kids will LOVE this movie. Adults will like it too, especially dads because there are TONS of puns and dad jokes. 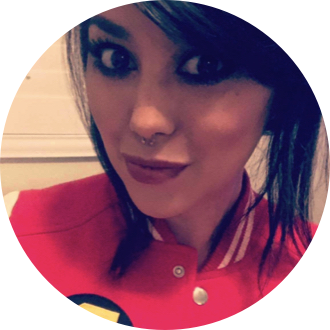 Ashley K. (Contributor) is a frequent traveler currently living in San Diego. She's a super nerd who enjoys all kinds of movies and doesn't always think the book was better. Click Here to check out Ashley K's Articles.